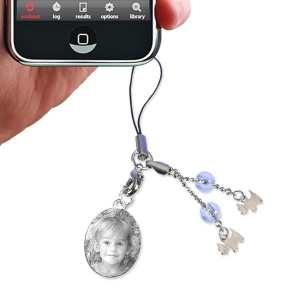 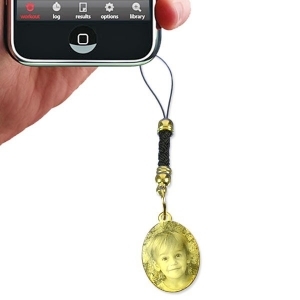 Personalise your mobile phone with this dainty and attractive pendant. 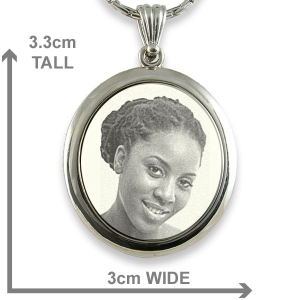 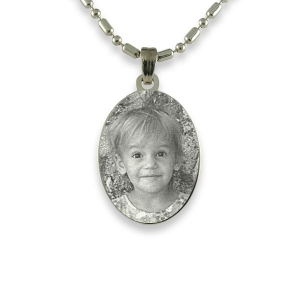 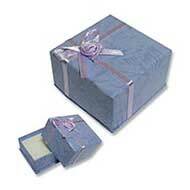 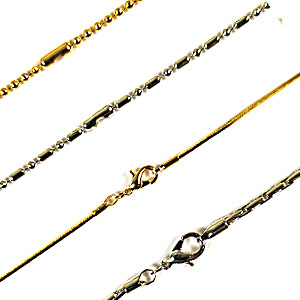 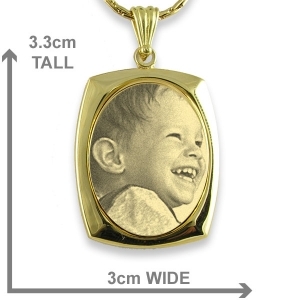 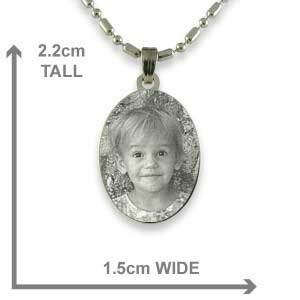 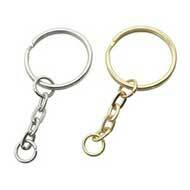 A mini pendant is suitable for an engraving of a person's face or their initials. 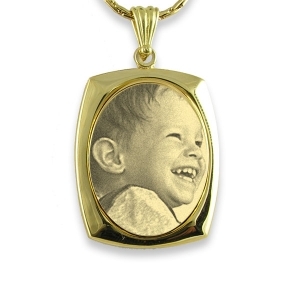 Upload a portrait photo of a loved one and engrave your initials on the reverse side or a dedication of only 20 characters. 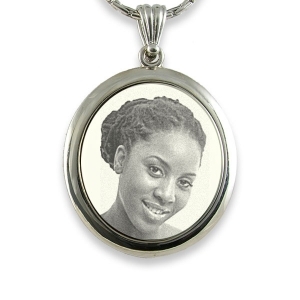 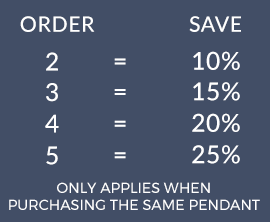 The oval pendant is small so it only suits a close-up portrait of a loved one or if you prefer you can engrave your initials to identify your phone from the crowd.